So much attention is given to 1920s evening dresses that reproduction afternoon, day and even house dresses are almost completely unheard of. 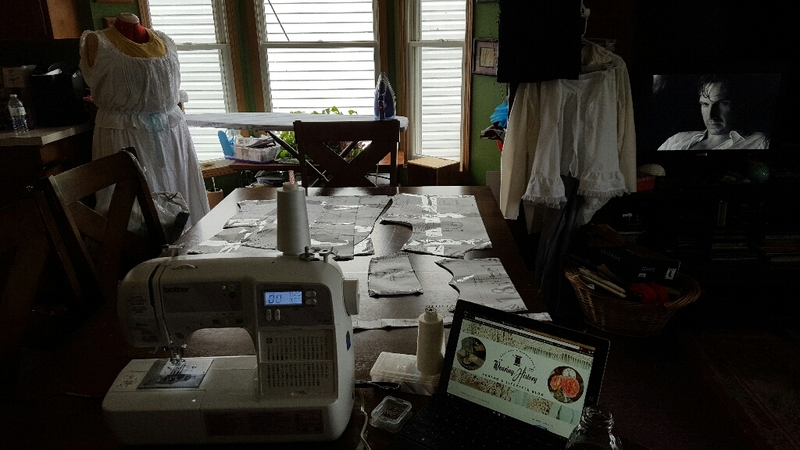 A year ago if you asked me if I would ever make a house dress, I would have said, "Why? I have no event to wear it to." 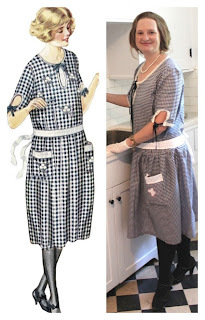 Well that all changed one day while I was writing a post on the history of 1920's house dresses (part of the free 1920's Style Guide series I have going on now on my blog.) 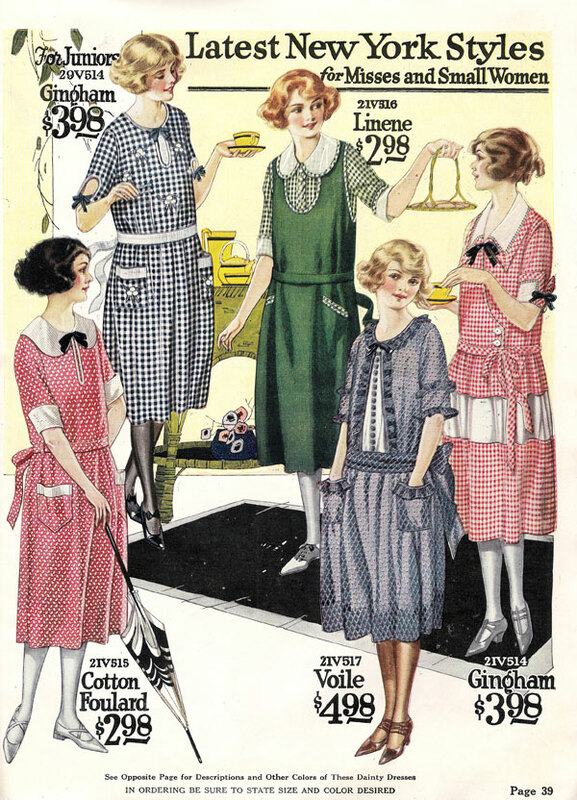 I ran across an image of a 1922 house dress from my Nationals catalog (shown above). I fell in love with the blue gingham dress in the upper left corner. There is something just so sweet and charming about early 20's house dresses. Colorful, loose, simple and girly, they make we want to frolic through a field of wildflowers. 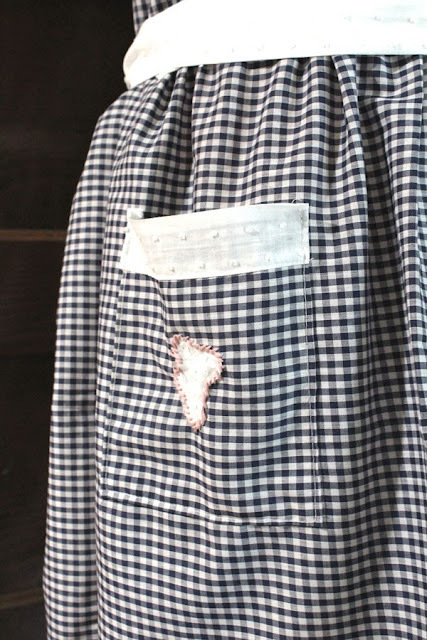 Day dreaming aside, I just so happened to have some blue gingham fabric in my stash begging to be made. 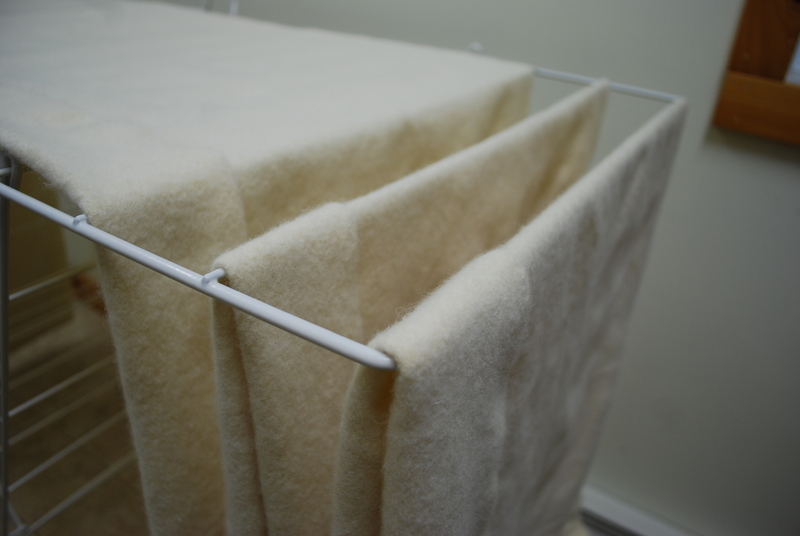 That in itself is amazing but even more so is that I wanted to sew again. Gasp!!! 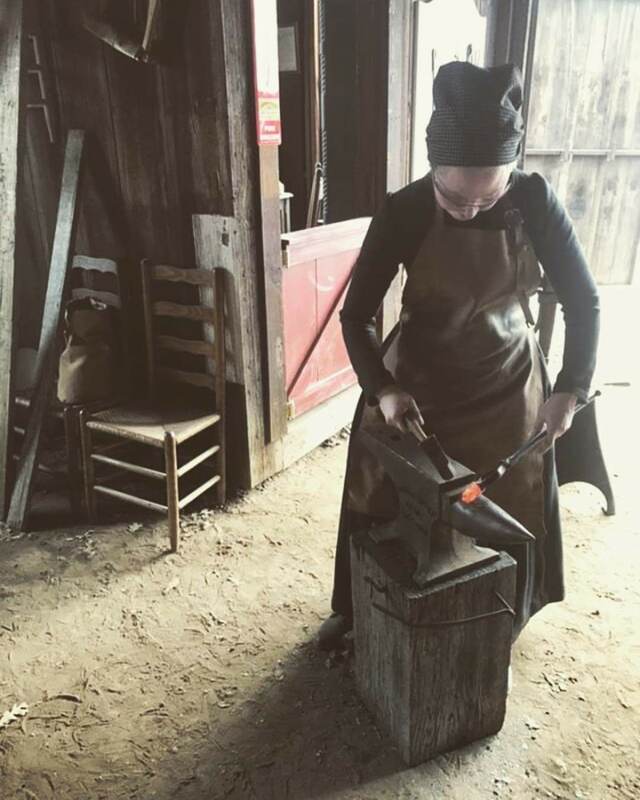 Sixteen months ago I had my baby girl and even since then I have next to no time to sew a full costume again. I have managed to make a baby a few costumes though : ) The dress dress description reads: "A very novel trimming touch in this pretty dress is seen in the smart little "flowers" of white pique outlined with hand embroider stitches in bright colors and applied to the front of the waist and the pockets with charming effect. 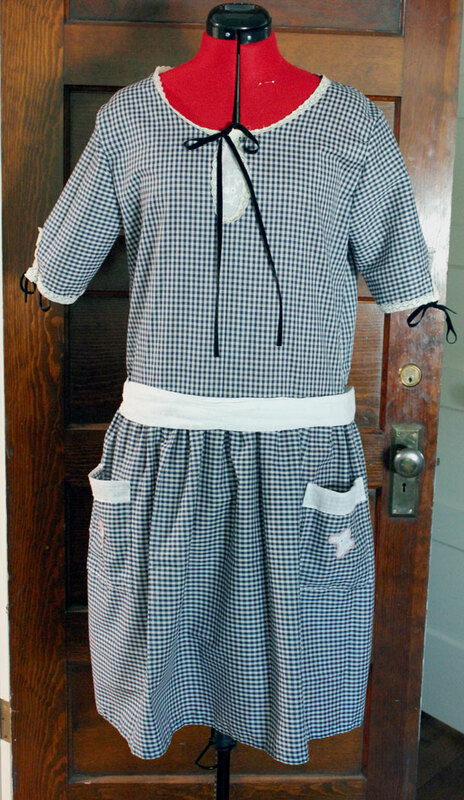 It is made of good quality checked Gingham, and trimmed with vestee, piping and sash of white pique. Ribbon ties at the neck and sleeves are very effective. Dress slips on over the head and snaps adjust the neck closing." 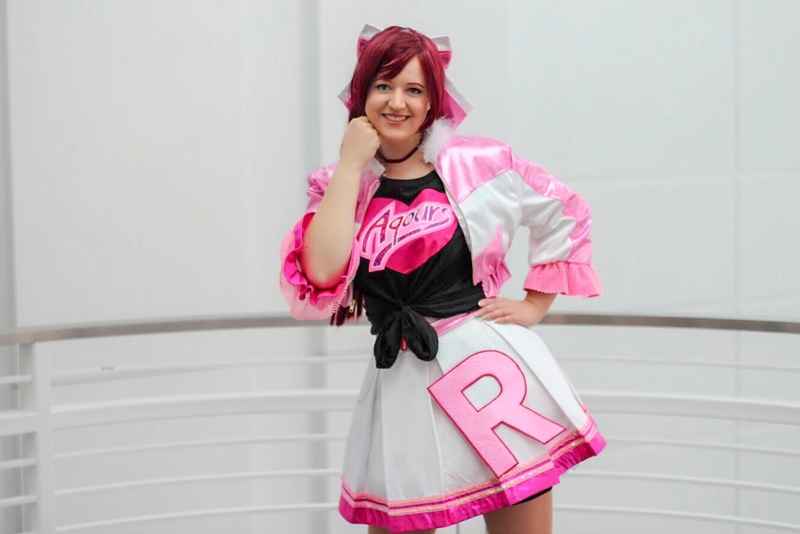 Since I had the main fabric plus some white eyelet for the belt and trim and 1/4 velvet ribbon for the bows, all I needed was a pattern. 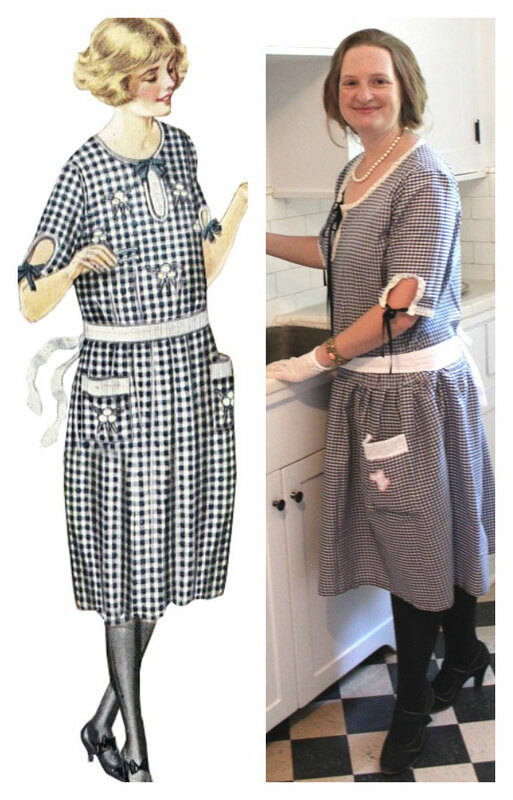 Last year I drafted my own pattern for a 1926 dress. I then proceeded to lose those notes. Ack! So I did the next best thing and ran to the fabric store where I flipped through the pattern catalogs trying to find a simple, straight cut dress, with drop waist, a round neck, and sleeves. What I found was Kwik Sew K4002 "Misses Tunics" a knit dress/top. I loved that it had a keyhole already in the design (the back) that I just copied to the front as well. 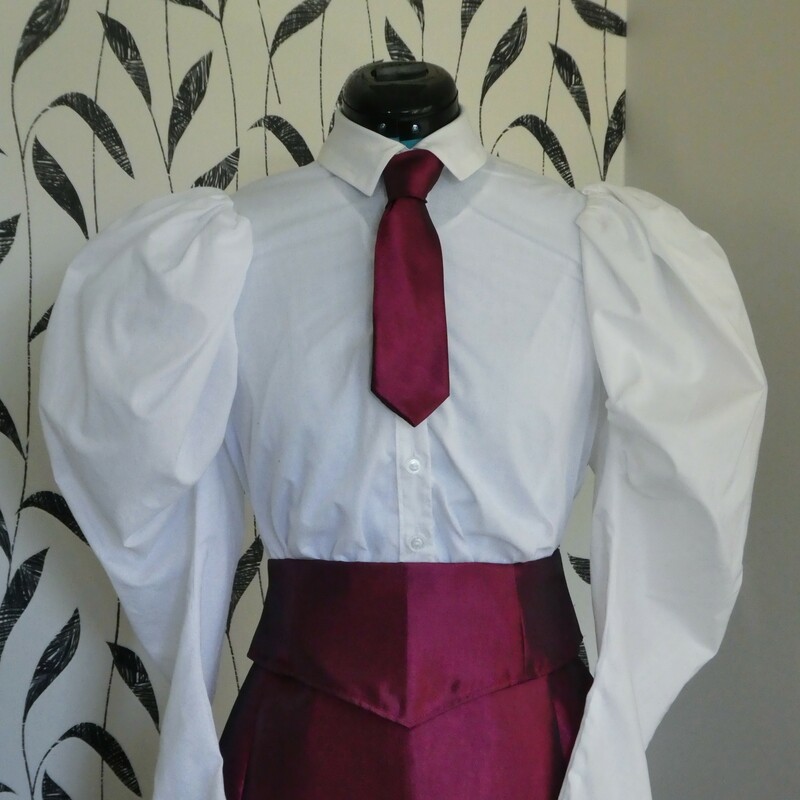 I also lengthened the skirt, lengthened and narrowed the sleeves, and made the cut outs on the sleeves like the picture. For the keyhole on the front I backed it with eyelet fabric again and trimmed it, the collar, and the sleeves with some vintage (70s?) lace. The whole project took me about 6 hours, mostly do to all the handwork and trim. I had to sacrifice my sewing room into the hands of my baby, who pulled all my trims out of the boxes, unraveled thread, discovered fabrics I thought I had lost, and *helped* me push the sewing machine pedal as I stitched along. It was the only way the dress could get done and it was worth it! I love how it turned out. I think it could be my favorite 20's dress I have ever made. But that's not all. When I saw I had one rectangle piece of gingham fabric leftover I naturally thought, hmmm, that's just enough for a dress for my little sewing room destroyer. 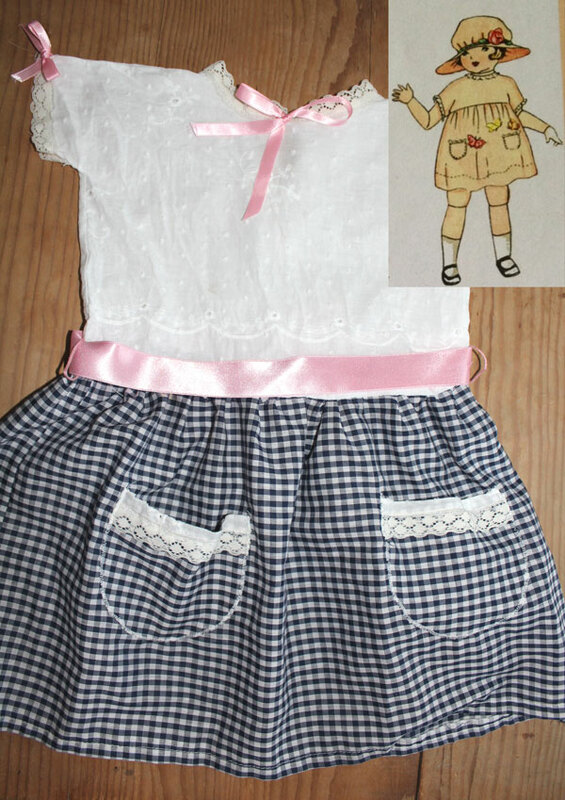 I found a 1924 pattern for a dolls dress that seemed simple enough. Dolls/babies, kind of the same, right? 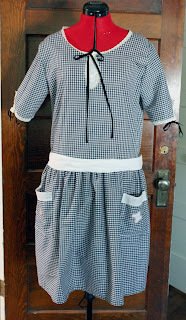 I used more eyelet to make the top blouse and the gingham check for the skirt. 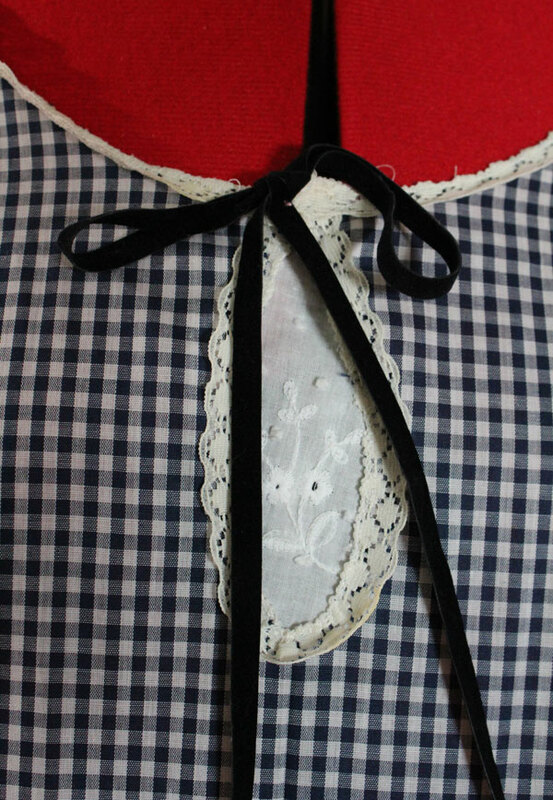 Trimmed the collar and cuffs in lace, added pockets (where I finally discovered how to use the zigzag stitch on my machine to make machine applique edging) and lots of pink bows and a long pink belt. Isn't it adorable? 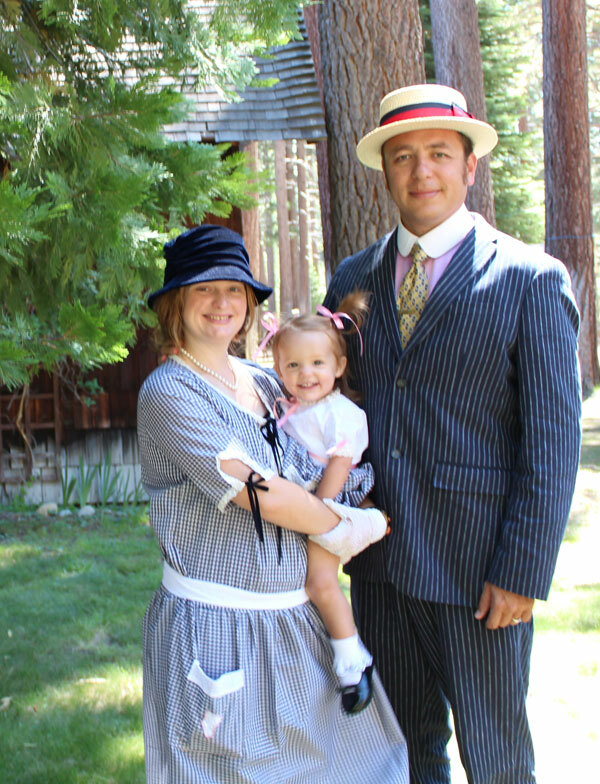 Together baby and I and dad (who is also a vintage costume loving guy) went to the Great Gatsby Festival in Lake Tahoe. Its our favorite event of the year. 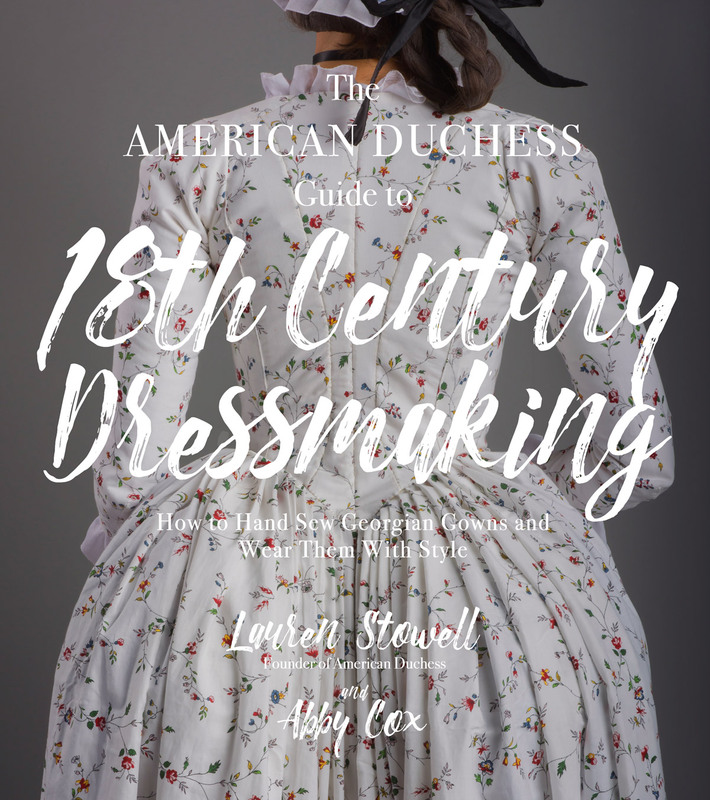 For you fashion history buffs, a house dress would have been completely inappropriate to wear to an afternoon party. House dresses were worn at the house only, maybe to visit a neighbor, but never in mixed company. So I broke the rules for this year's event. Maybe next year I'll make a more appropriate afternoon frock. 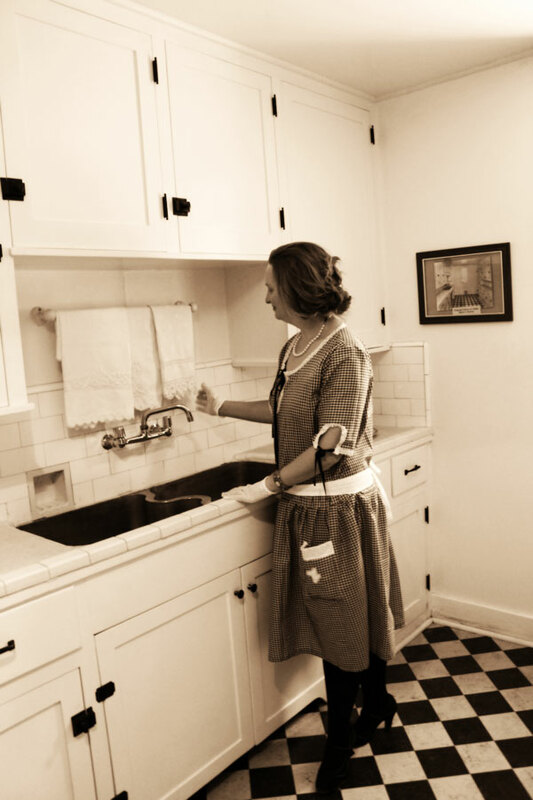 Here are some more pictures of our day: First stop was a museum tour of a 1920s house with the original kitchen still intact! A perfect place for a photo op in a house dress. I took my hat off inside but otherwise it stayed on my head all day. This was a great blue velvet sun hat, almost identical to one worn by Margaret in Boardwalk Empire. Stopping for a spot of tea and a picnic is a must at Gatsby's party. 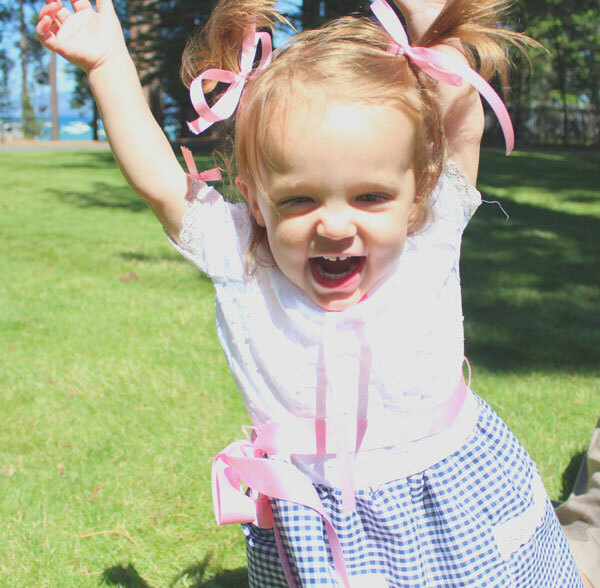 Baby says this was the best event yet, thanks Mommy for my dress! 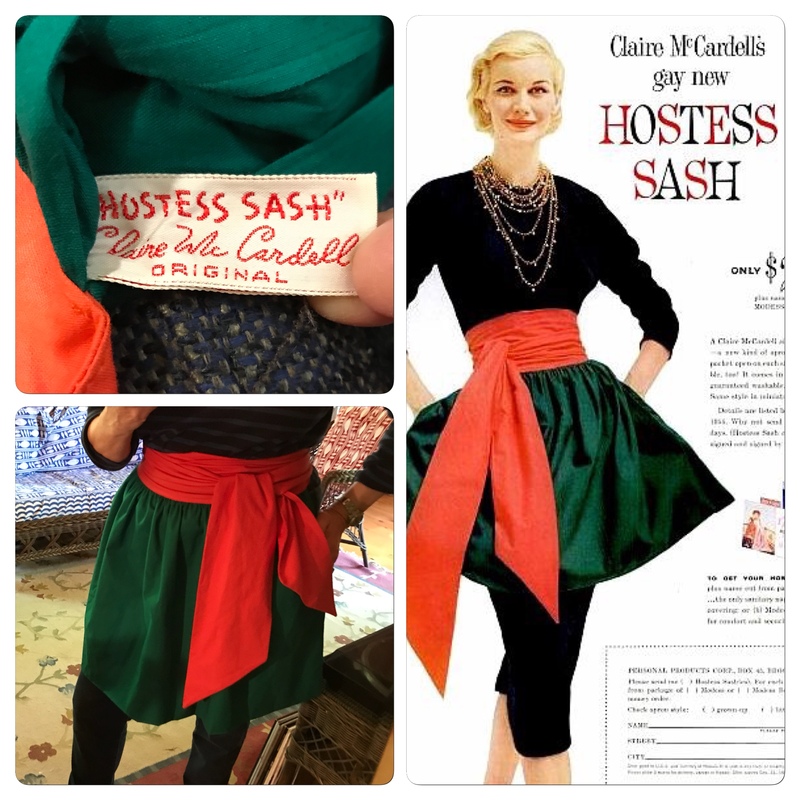 Debbie Sessions is a vintage clothing and lifestyle blogger, entrepreneur, and owner of Vintage Dancer, an excellent shopping resource for those seeking vintage inspired men's and women's clothing and accessories from the Edwardian period through the 1960s. Ilove the day dresses of the teens and early 20s, much more than evening dresses since I don't have anywhere to wear those. This is adorable. Wait! there's a Gatsby event in Lake Tahoe? When is it? We traded our timeshare to stay there last year at Halloween and went to nearby Virginia City in mourning costume for a cemetery shoot and be in their Halloween parade. Maybe I could talk hubby and my friends into this depending on when it is. Val, about the 3rd weekend in August. I've cut and pasted Debbie's invite for this year - it will give you a feel for what GBCS does. There are some great pics on FB on GBCS, do join us. Join us for the annual Lake Tahoe Gatsby festival, tea, and fashion show. 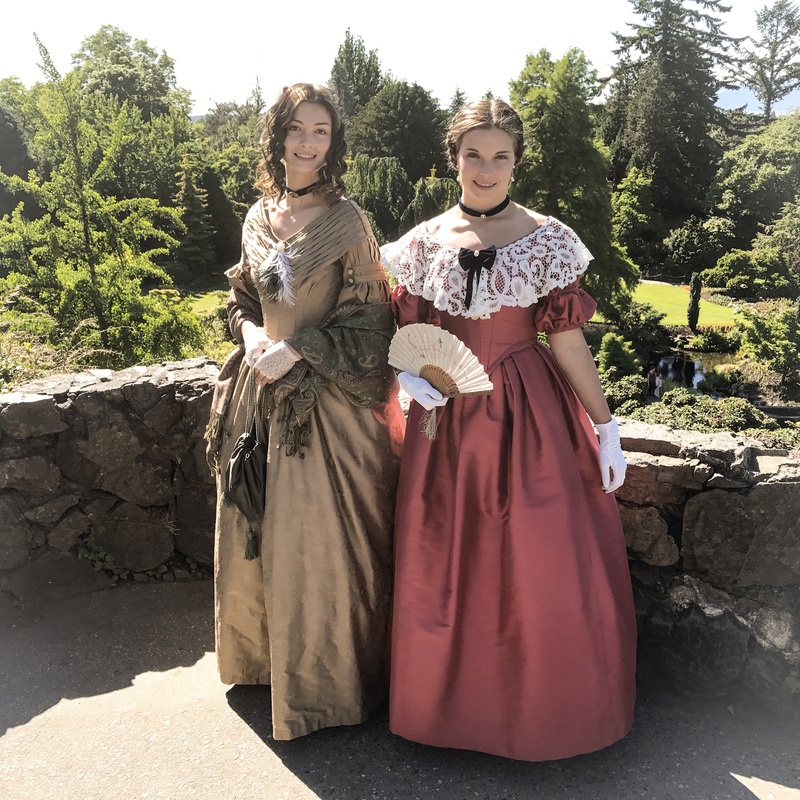 Come by anytime from 10 to 4pm to enjoy a house tour, rides in 20's cars, snacks, displays, live music, dancing, shopping vintage clothes and a splash in the cool Tahoe waters. 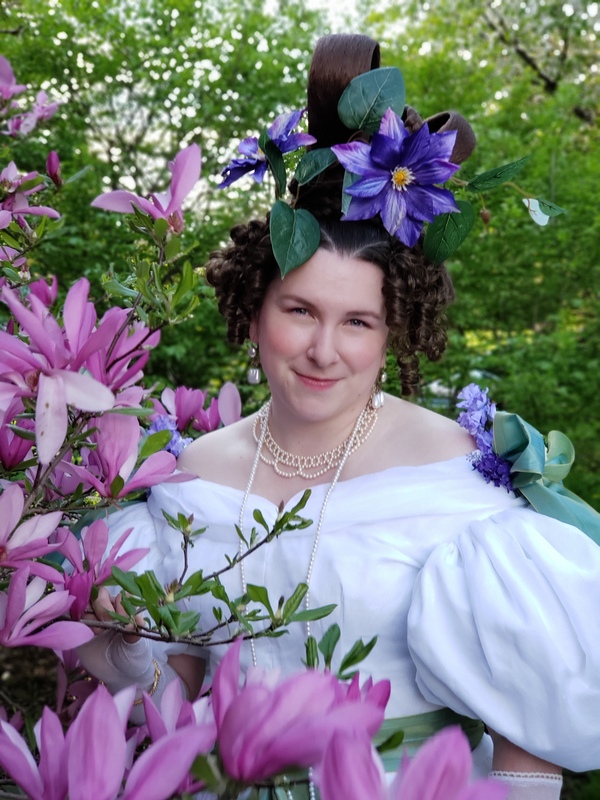 Our group usually picnics near a shady spot by the house then gathers around 2pm for the "poor" man's viewing of the vintage fashion show and tea (where we watch from the sidelines but don't pay for tickets.) This years show theme is "Great Gatsby" with an exploration of the characters in the book. This is my (Debbie Sessions) favorite event of the year. 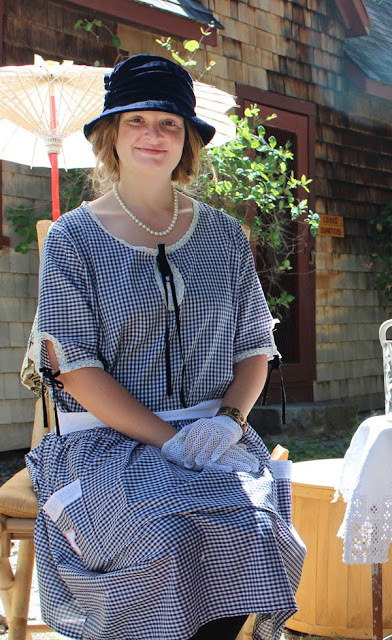 Don your Gatsby attire and join us for a relaxing day in Tahoe. Thank you Carolyn. I'll stick a bug in my hubby's ear for next year (although he doesn't dress) and with Jerry & Cindy, which they do. We enjoyed our stay in Tahoe so much last year and thought it was worth going to again. And we enjoyed meeting up with you in Virginia City. What a cute dress! I agree with Val, it's much more useful than an evening dress. 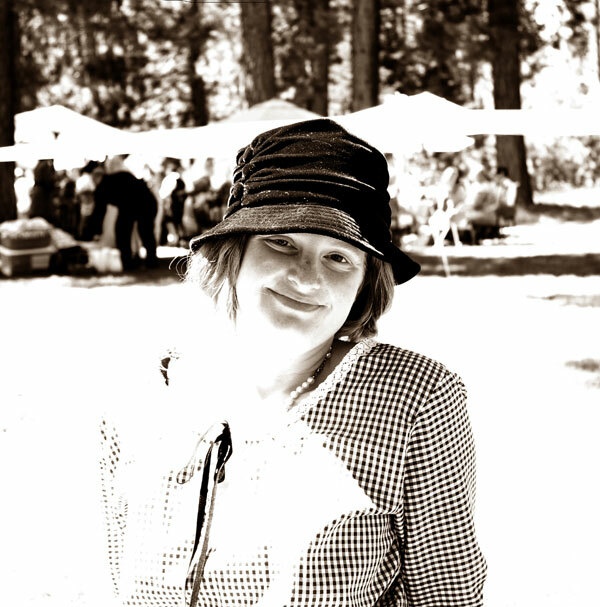 A Gatsby event in Lake Tahoe? How I wish I were back in Northern California! Debbie that is adorable, love it! I already marked next August on the calendar for this event.